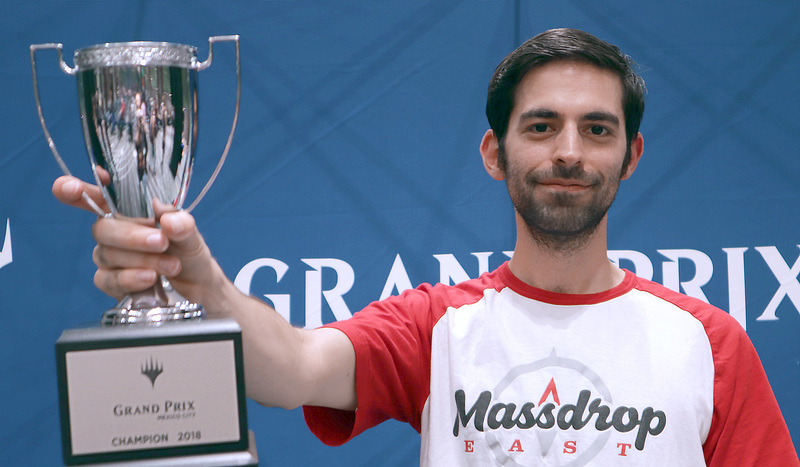 Without dropping a game in the Top 8 here in Mexico City, Mark Jacobson launched a Disinformation Campaign against his opponents, and defeated Steve Rubin, Francisco Sifuentes, then Logan Nettles in the finals to become Grand Prix Champion! The hashtag for Grand Prix Mexico City is #GPMex. Join the conversation. It was a stacked, stacked Top 8 in Mexico City. Jason Chan, Martin Jůza, Steve Rubin, Logan Nettles, Carlos Pal, Francisco Sifuentes, and Felix Grezes made for exciting elimination rounds. After the scrumm of four Boros decks during the draft, Jacobson emerged a clear leader with a Dimir deck for the ages. He sailed through the Top 8 on the back of Disinformation Campaign, tonsof surveil, and even a creature or two! The weekend was an exciting one—Logan Nettles back-to-back finals; "Amaz" and Carlos Pal finally net their first Top 8s; the lone undefeated Day 1 player, Sam Black stays in contention after 0-3ing his first draft, then losing a heartbreaker in the final round; Corey Burkhart combo-killing people in Draft after 3-0ing with the disfavored Golgari deck. And this is just Guilds of Ravnica's first weekend! New set, new season, new life—and life is good. 416 players clashed in Mexico City today, on the release weekend of Guilds of Ravnica. The early reports are in, and the set and the Limited format is a hit. The large amount of playables combined with land-fixing to do whatever you want provides a freeing feeling indeed. At the top of the standings is Sam Black, the only 9-0 player—dropping his first game all day in the final round. But right below him is Martin Juza, Steve Rubin, Carlos Pal, Mark Jacobson, Francisco Sifuentes, Juan Jose Valladares Grimaldo, Chapman Sim, Sarah England and more all chasing his lead. Tomorrow is the first crack at Draft—and we'll see if Black can continue his streak into the second day.